Reach Academy and the International Baccalaureate (IB) qualification. 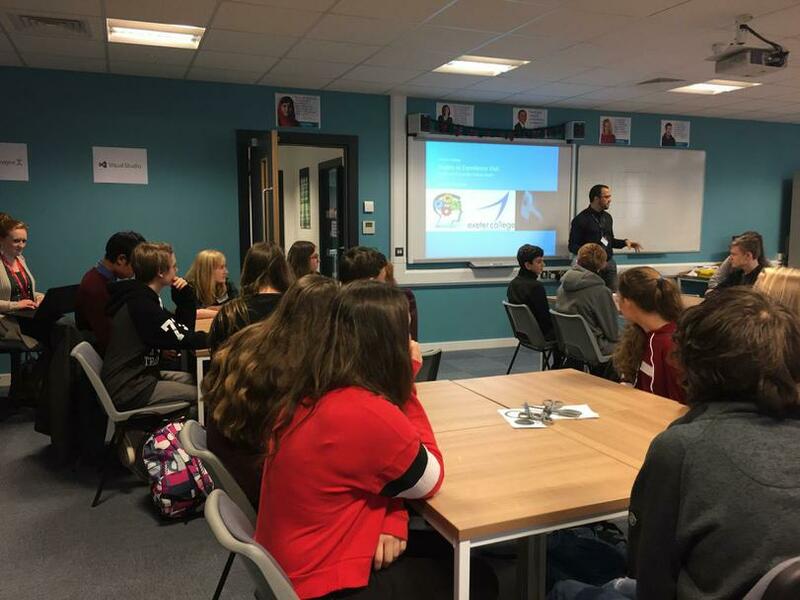 The IB lecture was added to the programme at our request after last year’s visit, so thank you to Angela Stubbington at Exeter College for the action packed day. Thank you to Miss Trainor-Roulstone and Mrs Woodhead for accompanying and driving the mini buses on the day. to work out the stages of a decomposing corpse by the life cycle of a blow fly and the size of the maggot. Also, the tour of the college was very impressive, with lots of new purpose built buildings. that were explained by both lecturers and students from the college. “The Exeter trip was good for me to see what options there are post 16, such as the IB, which most of us didn't know about.